Do you have a word for the year? Do you or someone you know need an encouraging reminder? This key fob is the answer. 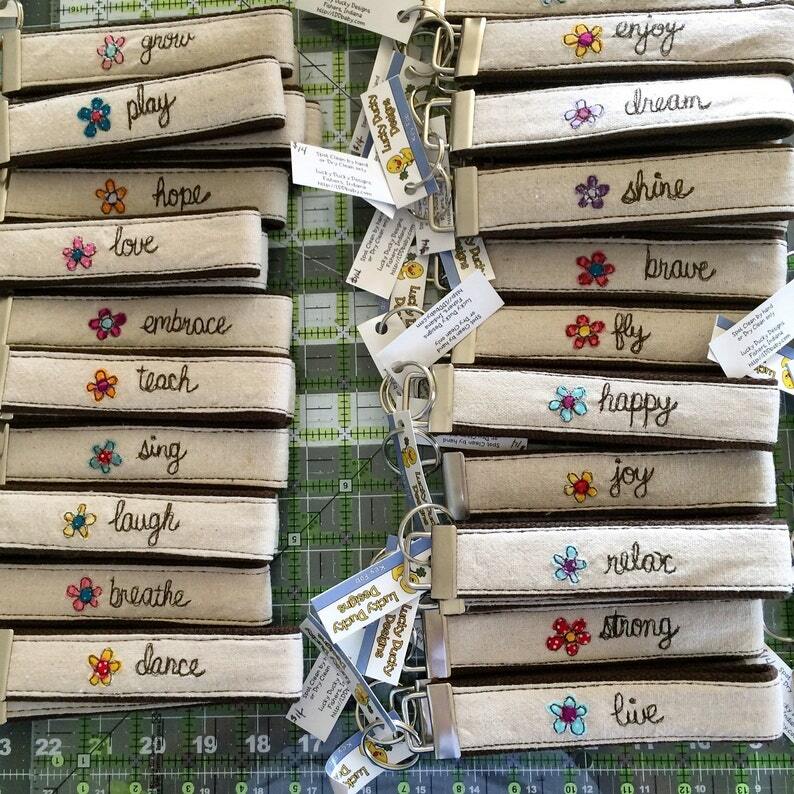 Each key fob is free motion stitched with with a multi-colored flower and your selected word. The fabric is stitched to sturdy cotton webbing with a metal wring fastened to the end. Choose from one of our words or pick a word of your choice (appropriate). To select another word, choose other and be sure to include your word in your note to seller. There is a $1.00 charge when selecting a custom word. Current time to ship is one week. Great quality and is absolutely adorable! Highly recommend!! Like My Word Keyfob A lot! I love my new key fob! !